This sleek, modern shila stone basin would add geometric lines and style to any contemporary bathroom. This basin is part of Valley's Signature series which is manufactured in Mission BC, guaranteeing Canadian-made quality. 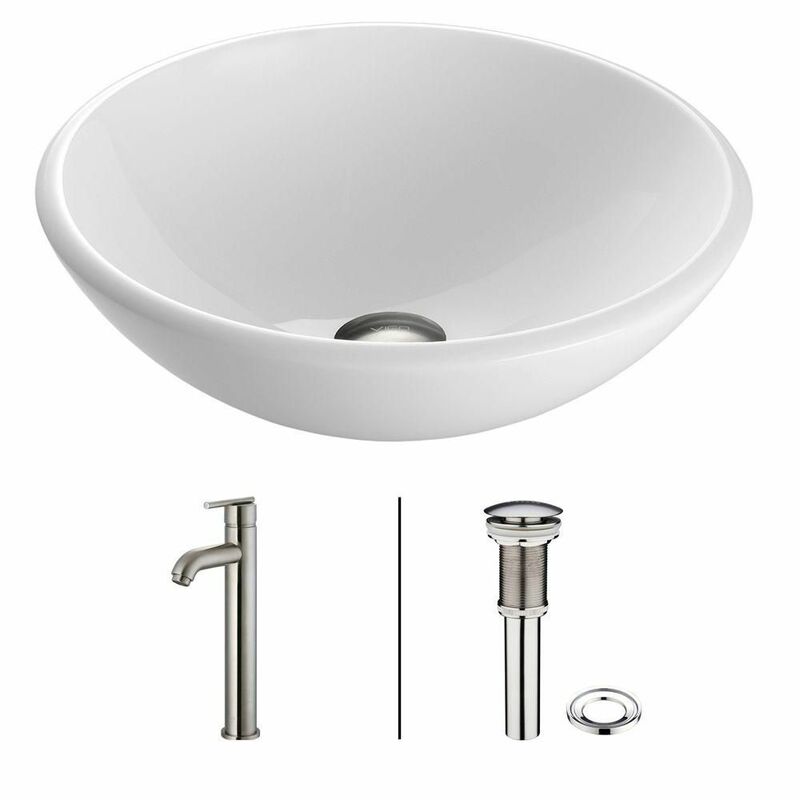 Stone Vessel Sink in White Phoenix with Seville Faucet in Brushed Nickel is rated 5.0 out of 5 by 2. Rated 5 out of 5 by DBK from Looks great in our powder room on an intricate granite... Looks great in our powder room on an intricate granite countertop!